Samsung has already begun delivery of Android 4.1 for the Galaxy Note 10.1 in some parts of the world, but in a move that'll no doubt add to the anticipation, the company has now revealed Premium Suite as an accompaniment to the OS upgrade. 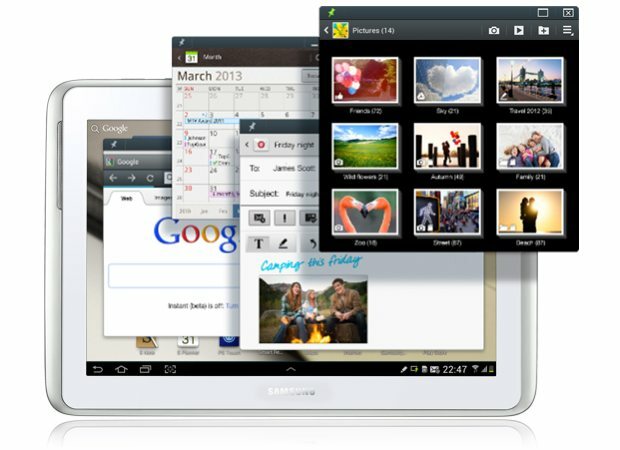 Along with Jelly Bean, users can expect greater Multi Window functionality, which brings the ability to open up to 16 apps at a time, each which can be moved, resized and pinned to remain on top. Samsung's Air View is also incorporated within Premium Suite, which allows users to preview appointments, emails, video and the like by hovering the S Pen above the screen. Not to stop there, Samsung is also upping the ante with new additions such as Easy Clip, Quick Command, Photo Note, Paper Artist and an enhanced S Note app. No definitive timeline is known for Samsung's rollout of Premium Suite and Android 4.1, although it's now clear that "soon" can't come quickly enough. In the meantime, be sure to hop the break to preview all the new features that are on deck.